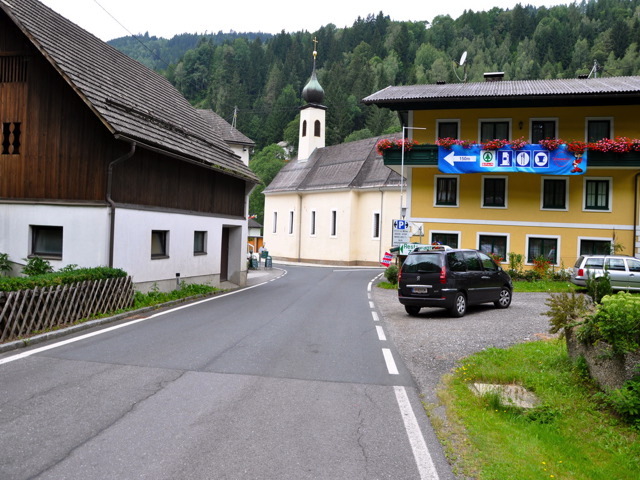 Km 5.2: Left turn (into the Turracher Bundesstrasse main road)! 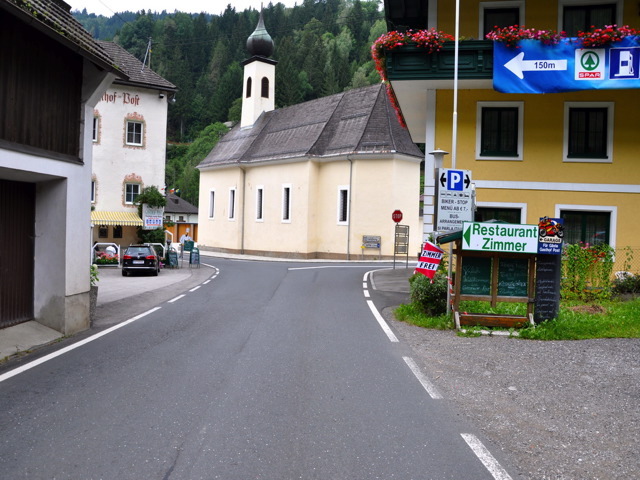 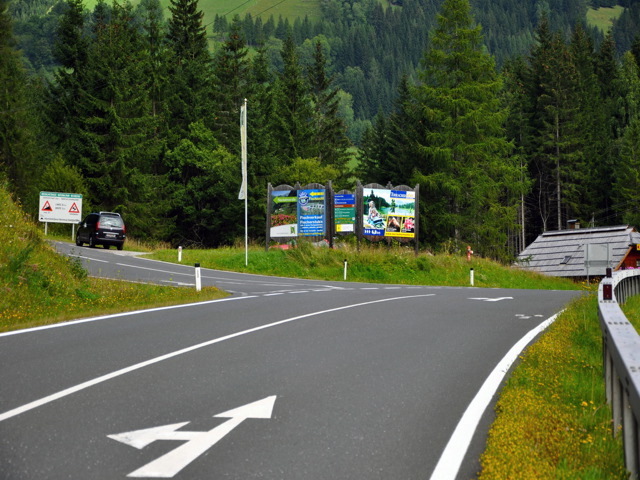 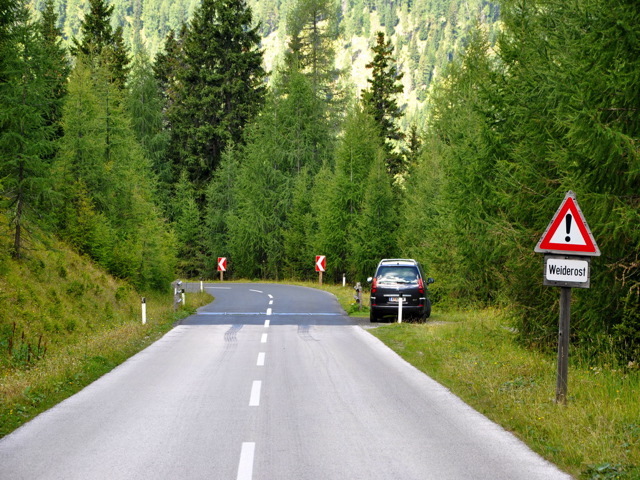 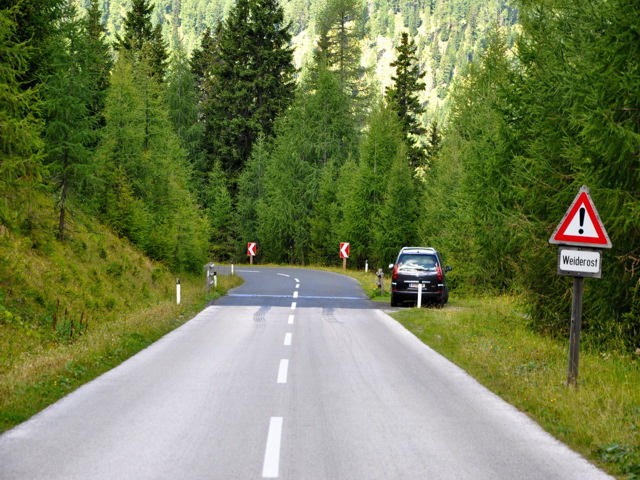 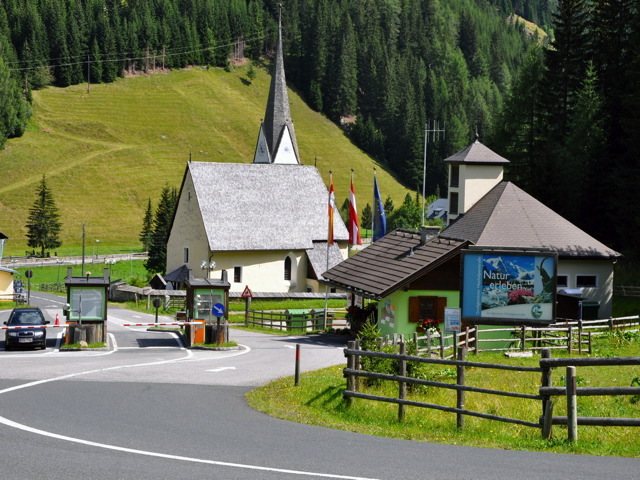 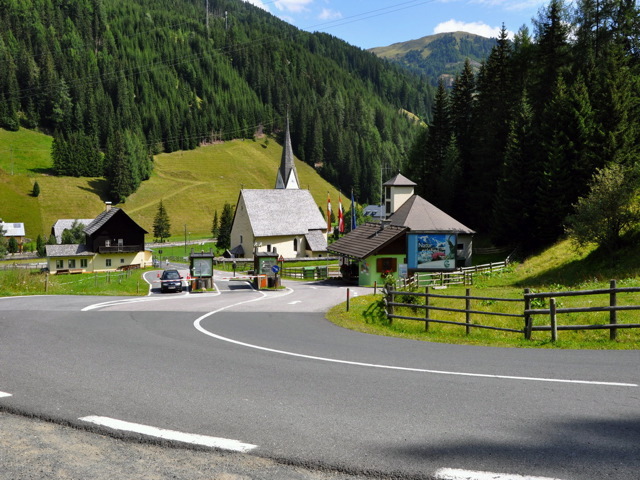 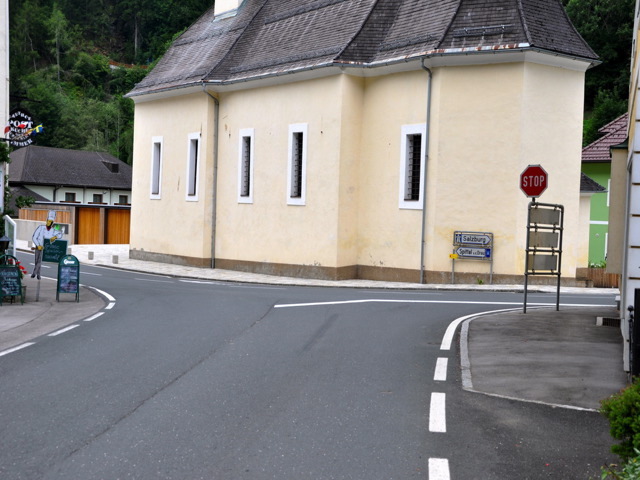 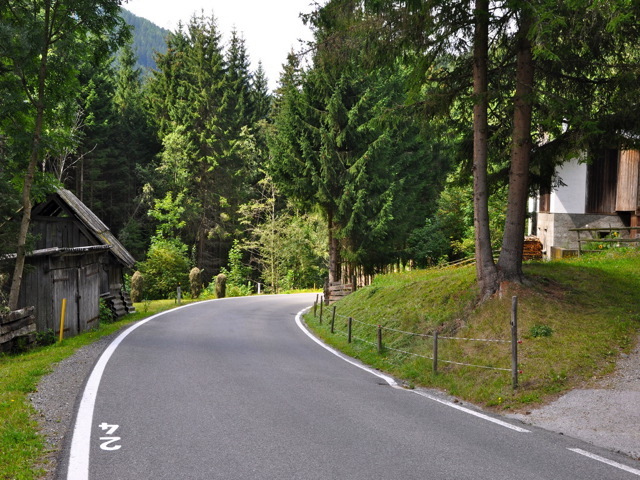 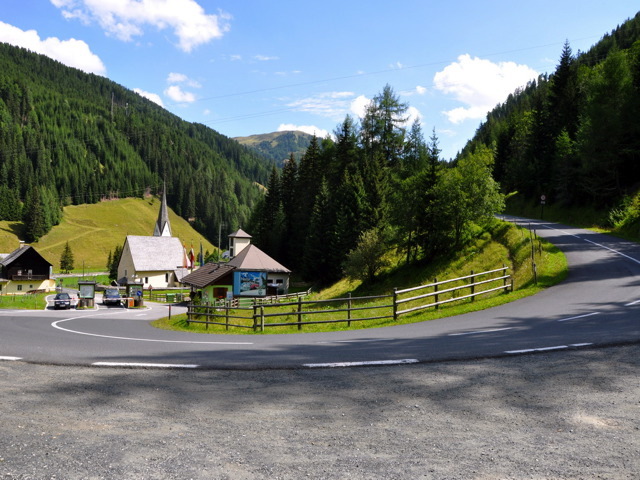 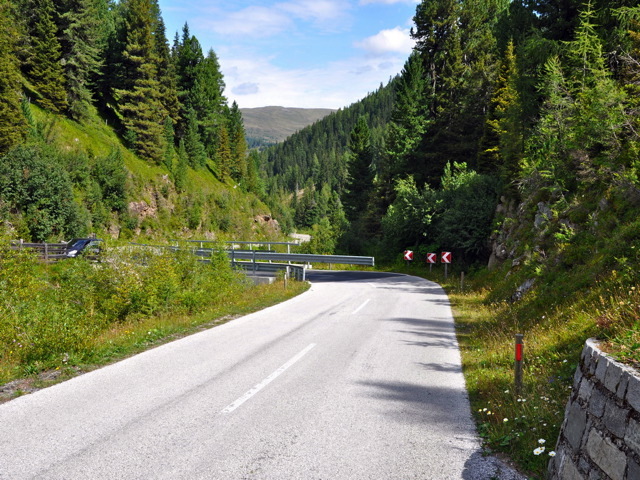 Km 12.5: Left turn (into the Nockalmstrasse alpine road)! 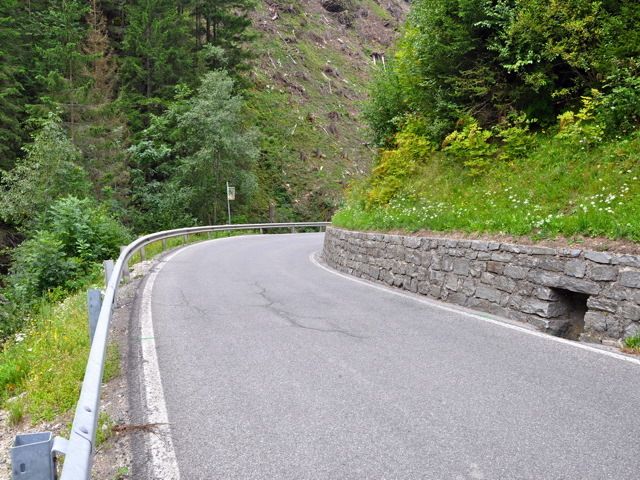 Km 26: Cattle grid (dangerous transverse grooves on the descent from the Schiestelscharte)! 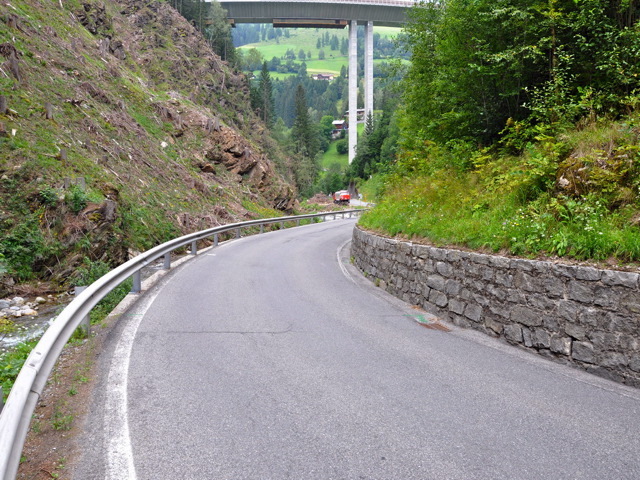 Km 27.5: Cattle grid (dangerous transverse grooves on the descent from the Schiestelscharte)! 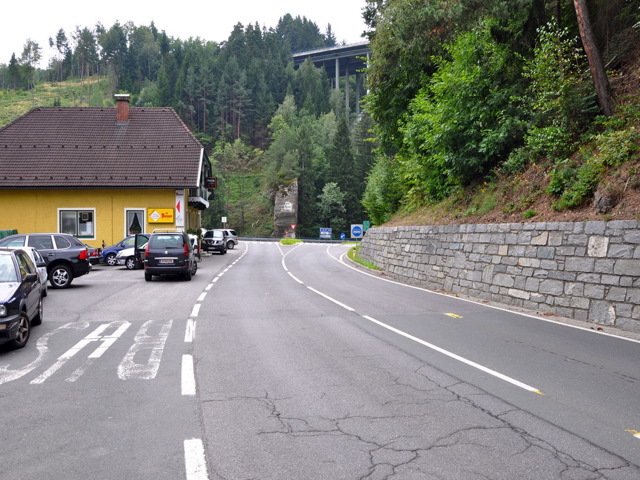 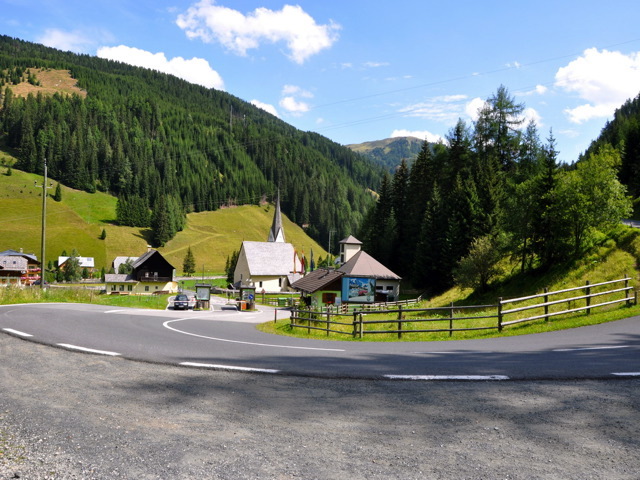 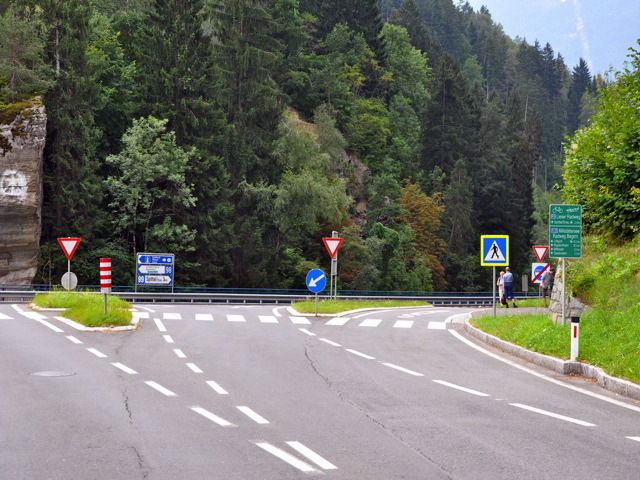 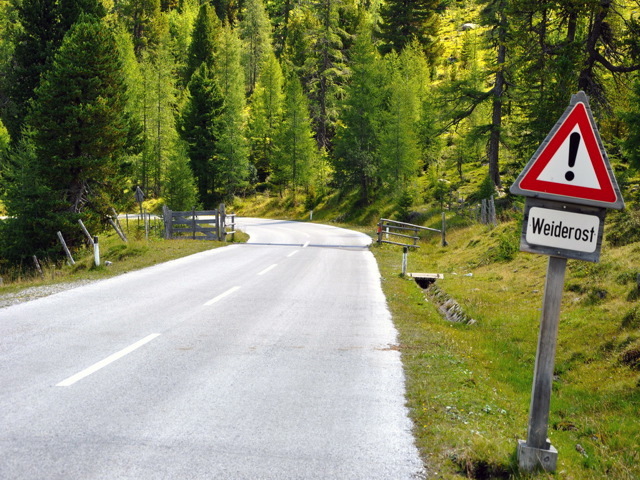 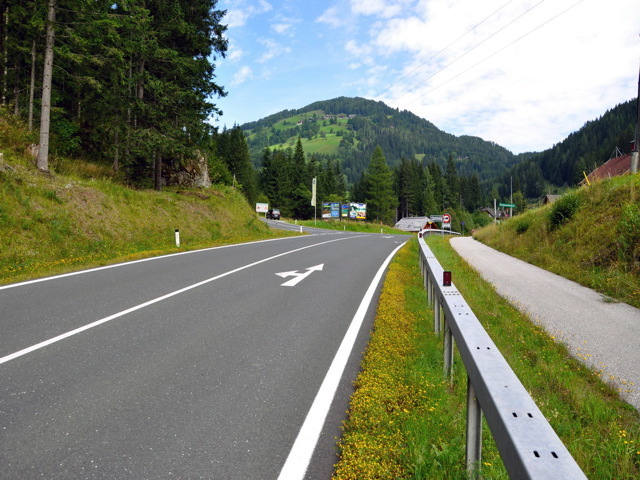 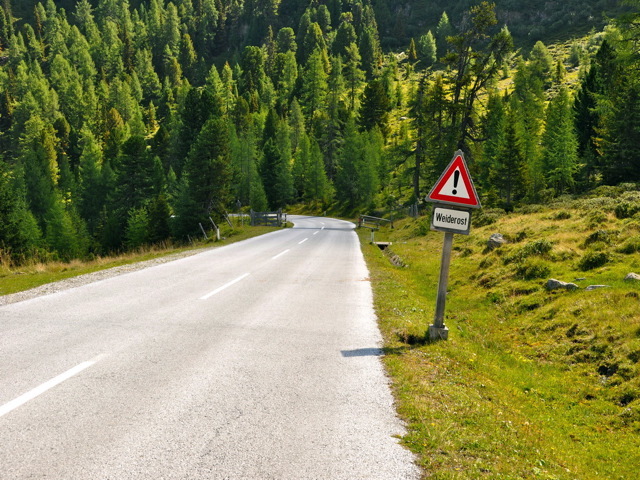 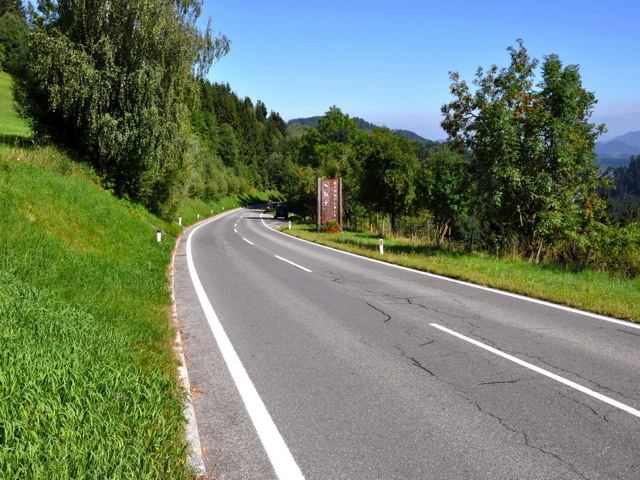 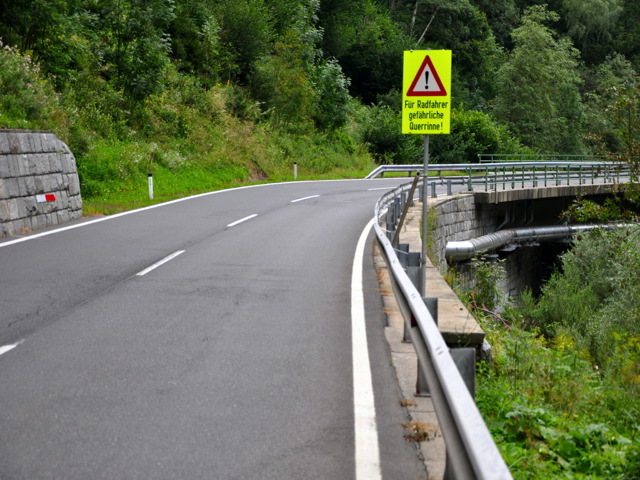 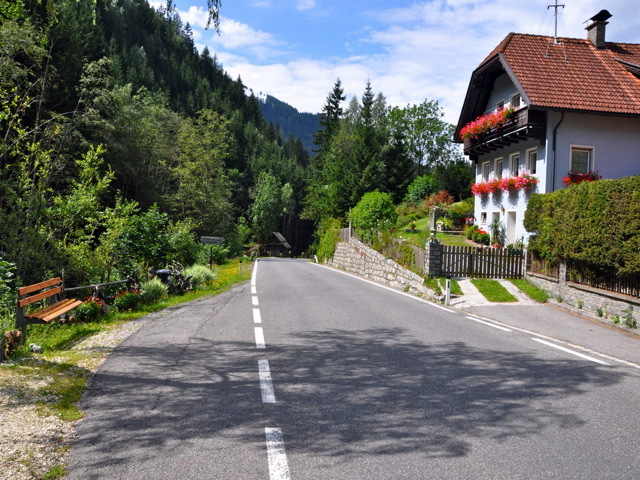 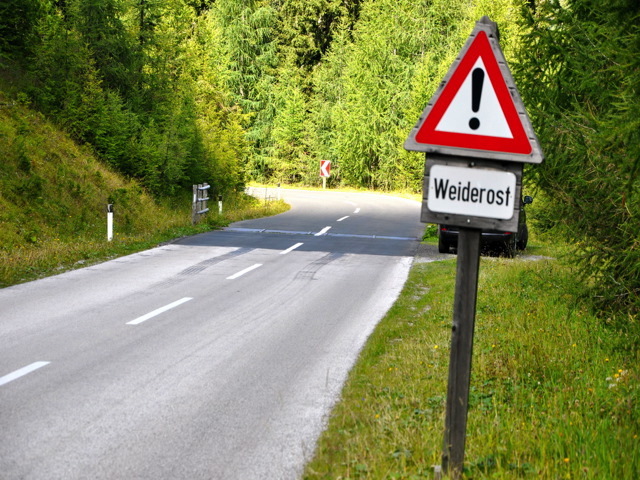 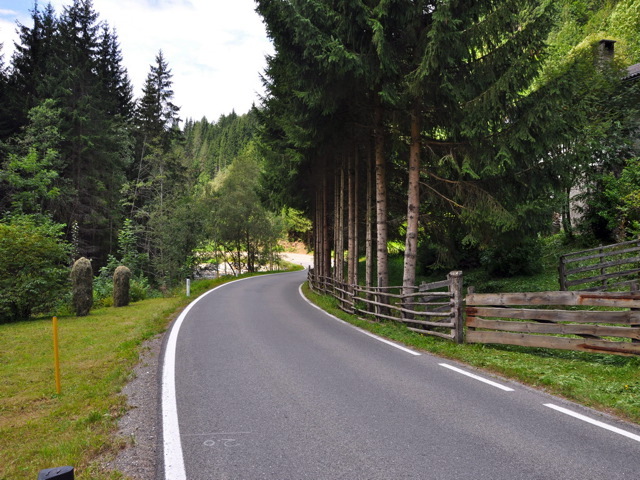 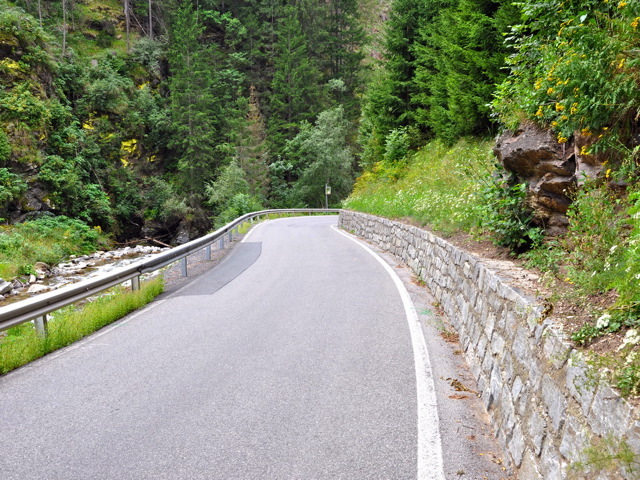 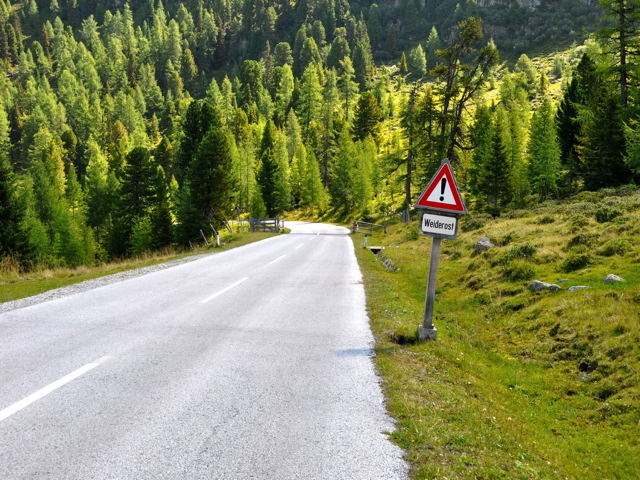 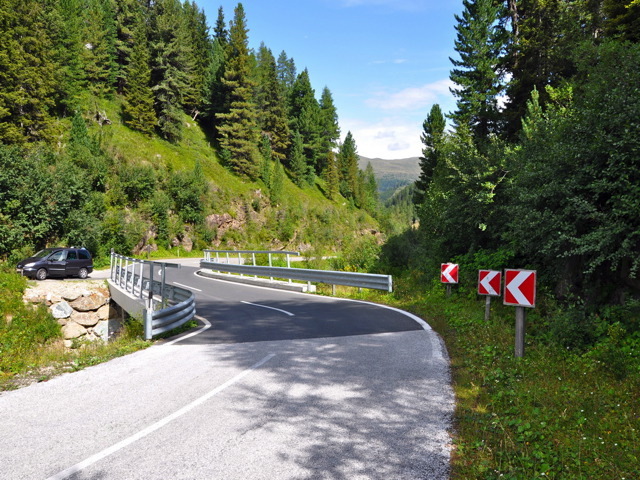 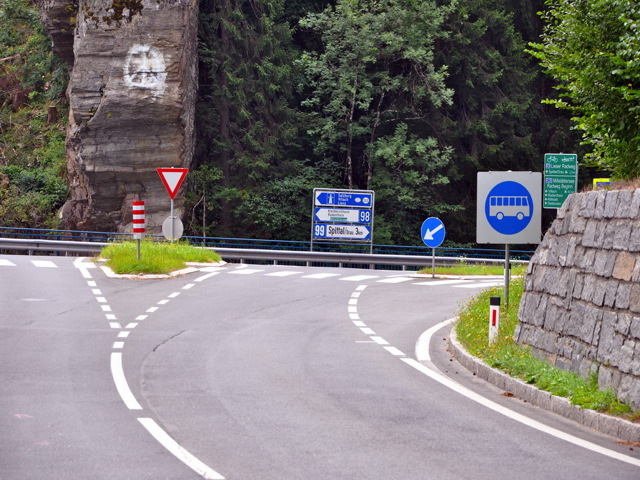 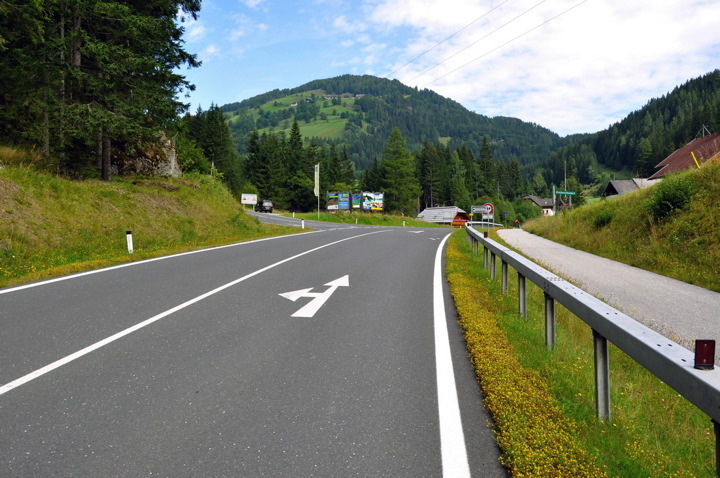 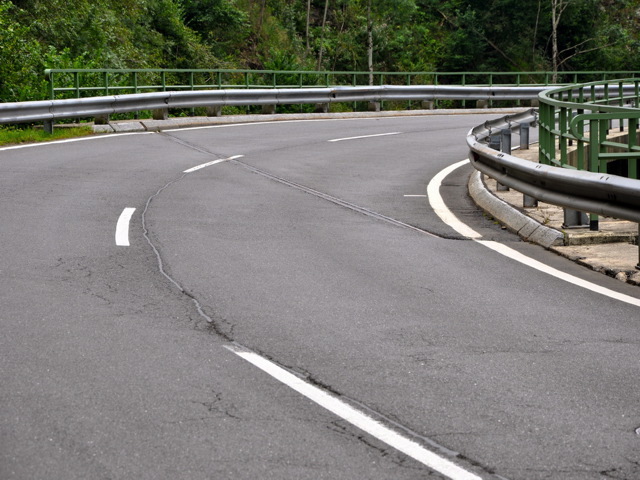 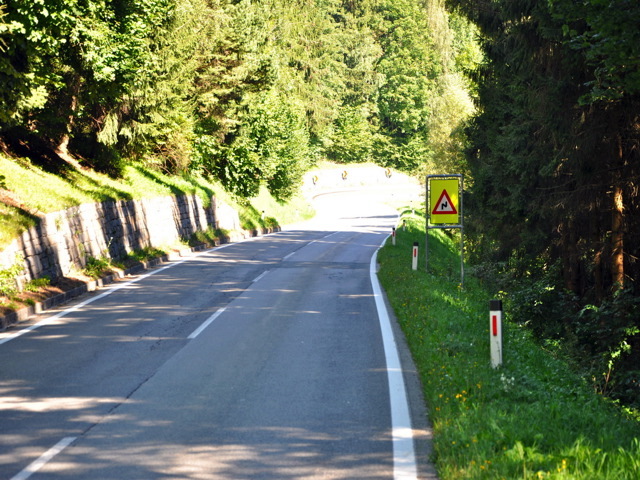 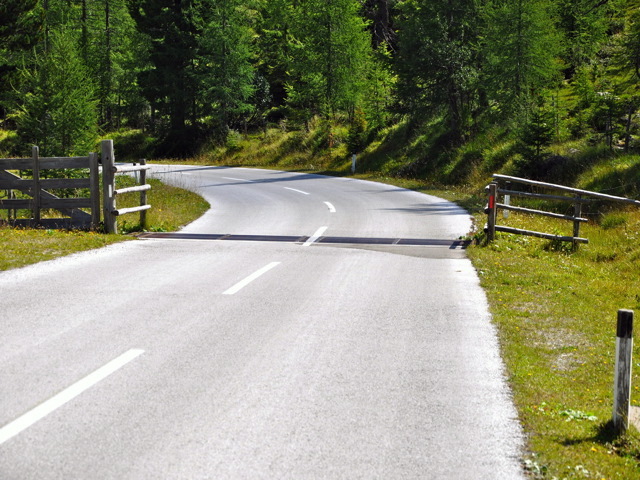 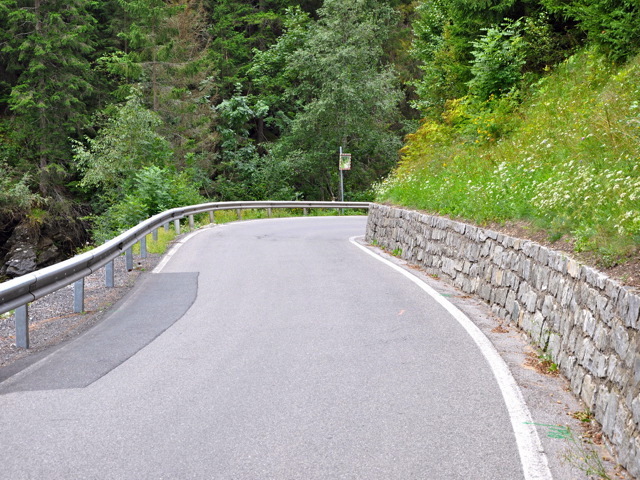 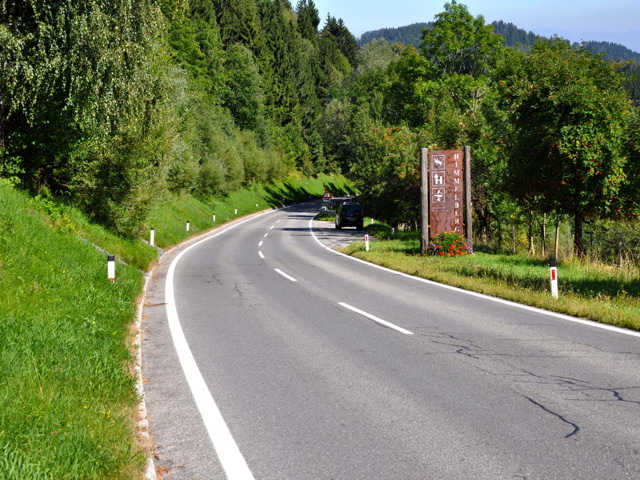 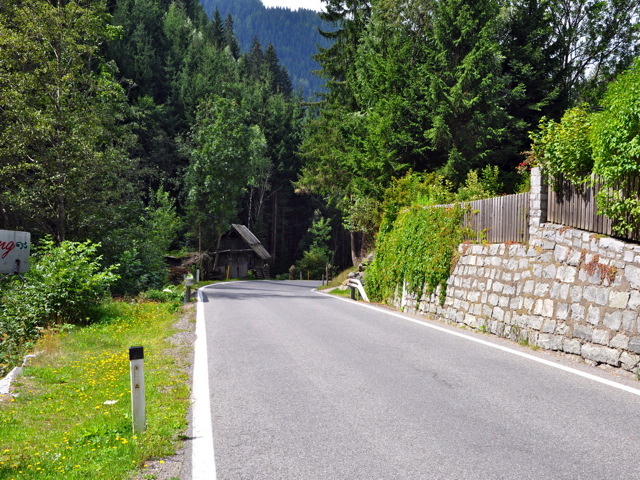 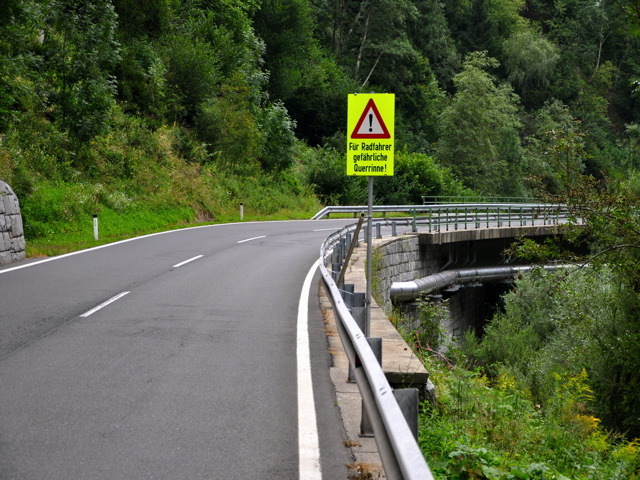 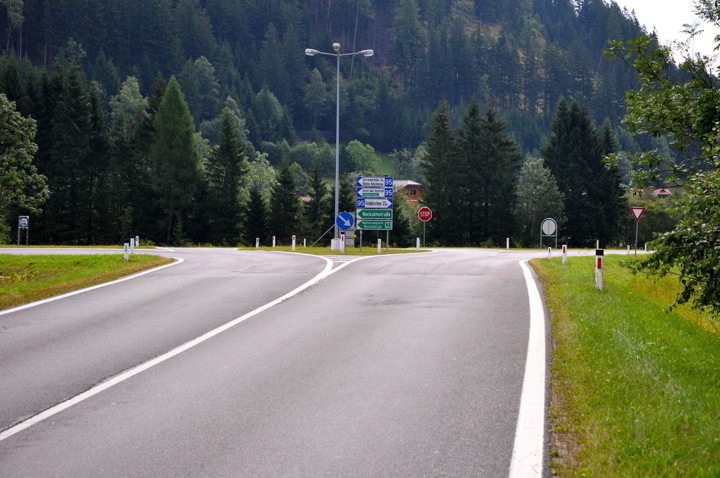 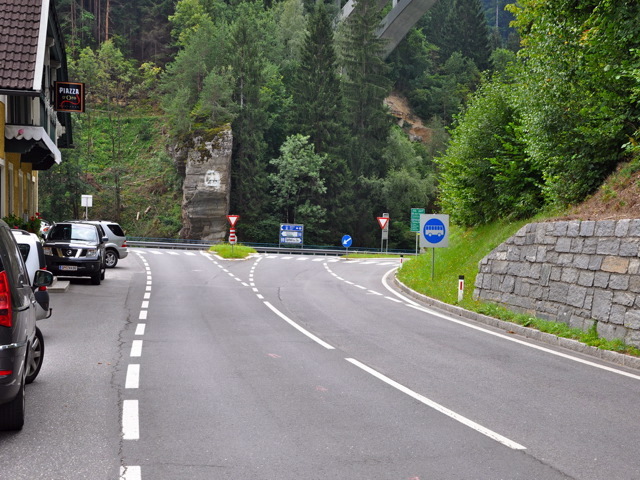 Km 42: Dangerous corner (descent from the Eisentalhöhe)! 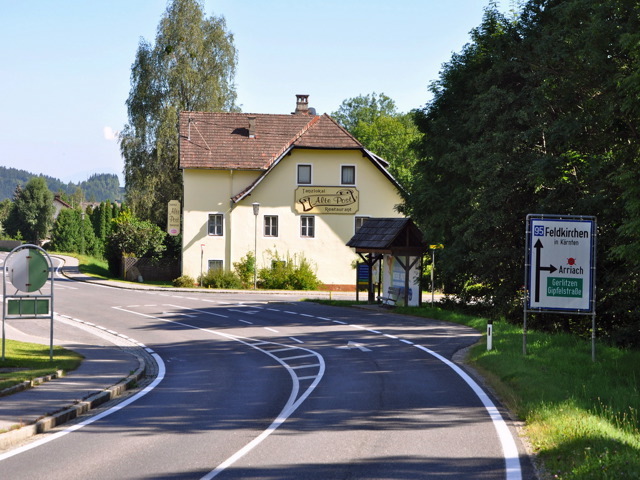 Km 45: Bottleneck (Innerkrems toll booth)! 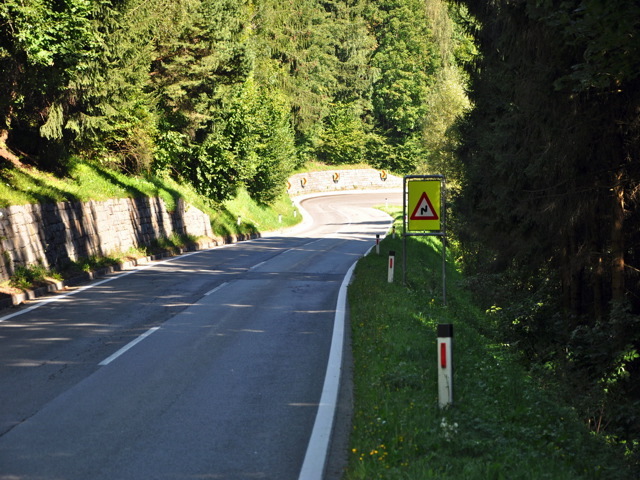 Km 45 – 55: Very narrow, two-way road with blind corners! 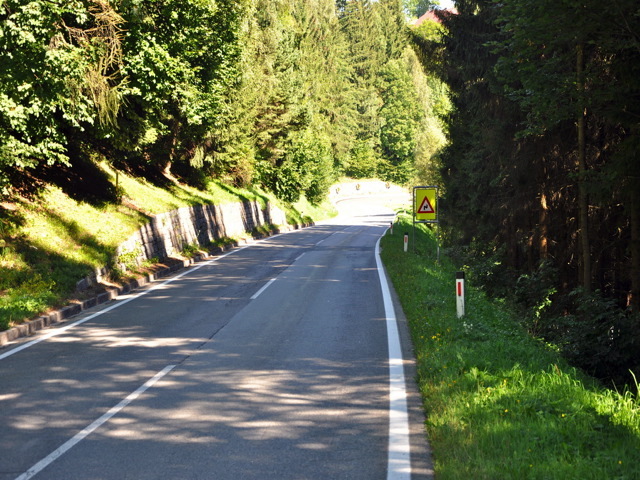 Km 52: Very dangerous blind corner! 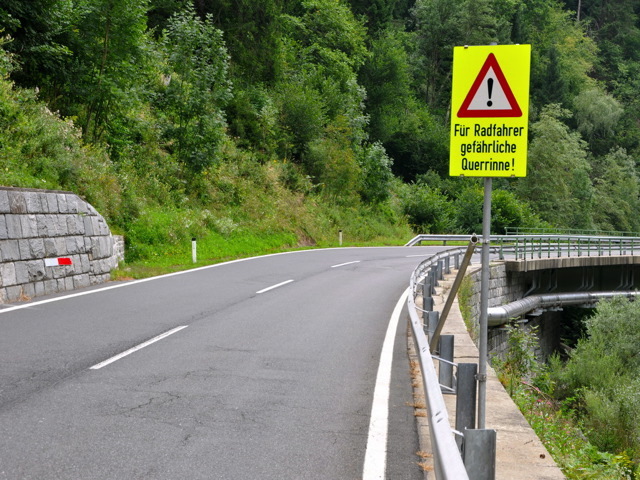 Km 54.5: Very dangerous blind corner! 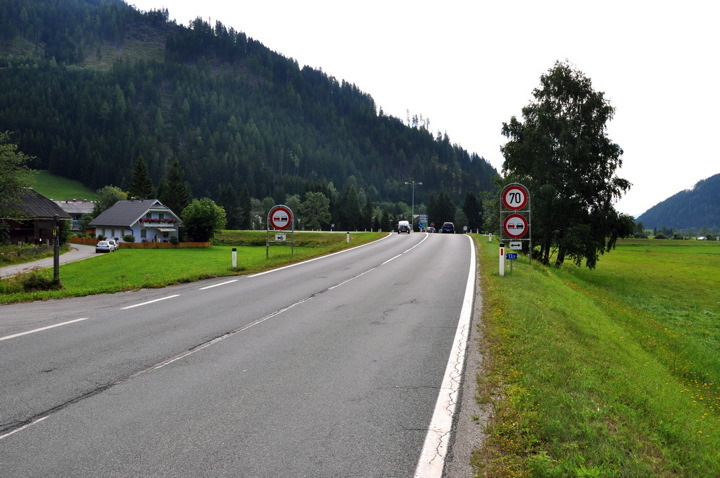 Km 55: Very dangerous left turn (into the Katschberg Bundesstrasse main road)! 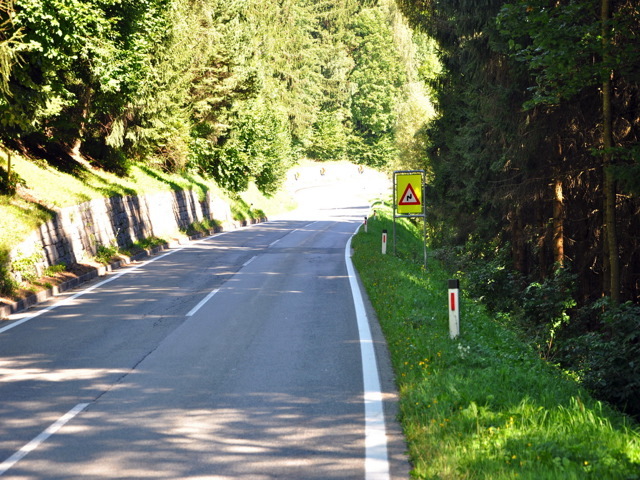 Km 74: Dangerous transverse groove! 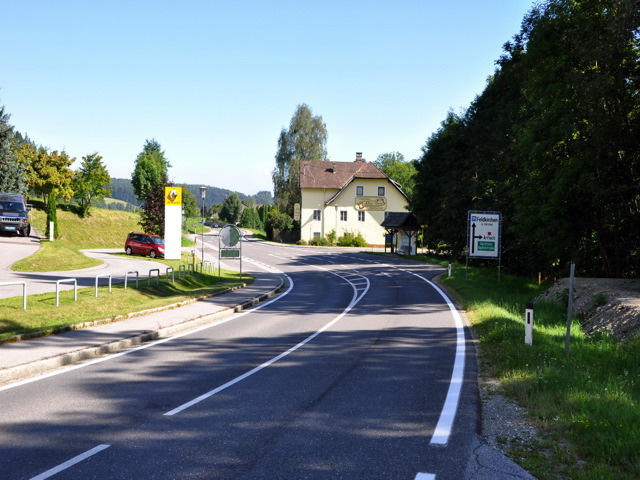 Km 78: Left turn (into the Millstätter Bundesstrasse main road)! 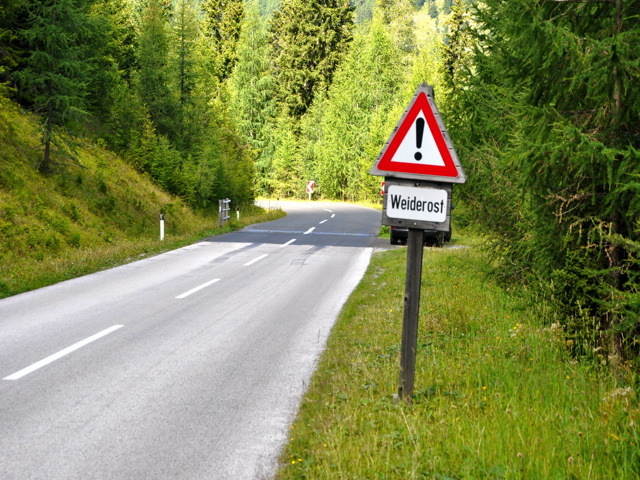 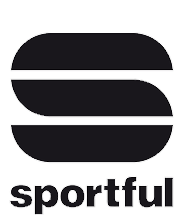 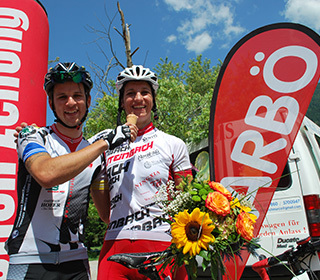 Km 18 – 21: Dangerous descent to Himmelberg with sharp corners and uneven surface! 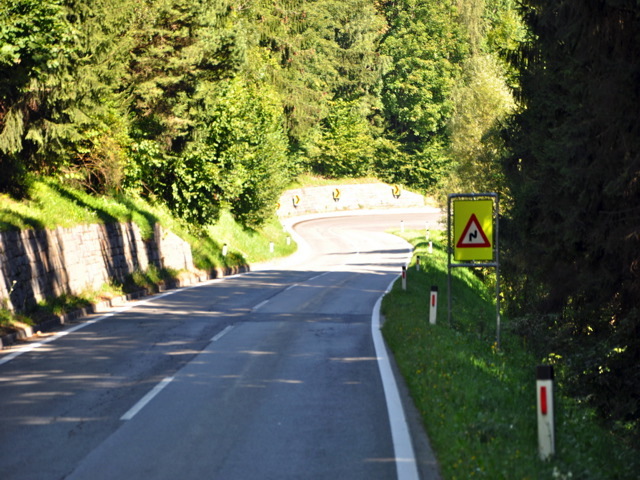 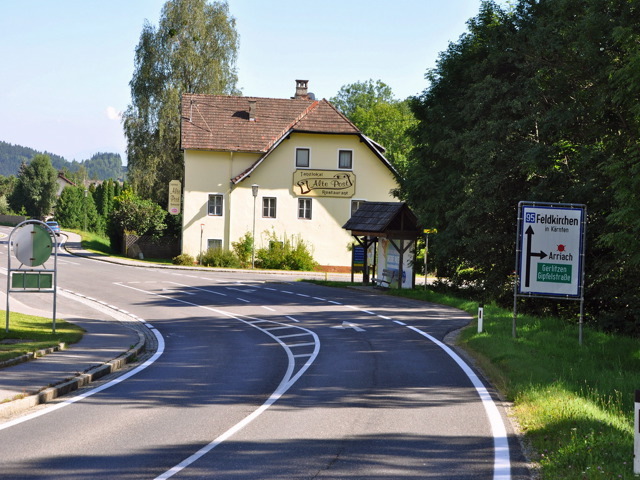 Km 21.3: Dangerous junction into the Teuchener Landesstrasse main road! 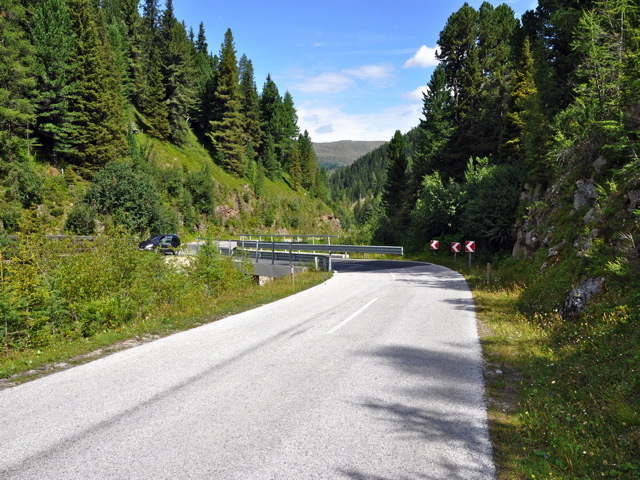 Km 38 – 40.2: Very steep and dangerous descent! 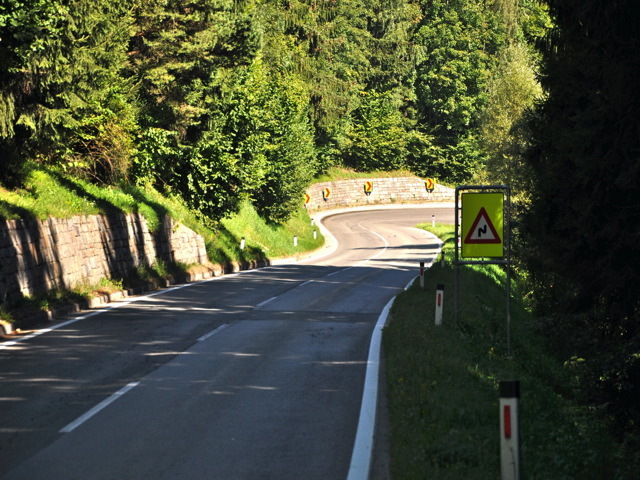 Km 40: Dangerous junction into the Millstätter Bundesstrasse main road!